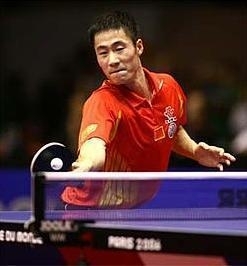 I'm looking for a Table Tennis partner in London. I work in central London and in shifts and hence would be able to play during the weekends and during morning shifts. My level of play is not bad. I have represented my school and college in inter-school, inter-college tournaments, back in India. I have also played in tournaments within my work place. I have been in the UK since 4.8 years and during this time I have not played much. I sometimes went to the London progress club in Southall which was a very good club with around 16 tables but unfortunately they seem to have restricted their play time to Thursday evenings only. I also contacted a club in Ashford which seemed good as well, but they seem to allow to play only if you buy their annual pass. Moreover it is quite far from my place which is located in Hounslow West. However, the distance shouldn't be a big problem on weekends. I am fine with playing near central London during my morning shifts, in the evenings. So, if you are interested in becoming a partner or know any TT clubs near Hounslow West, please let me know.